← Look Mom … I’m on TV! 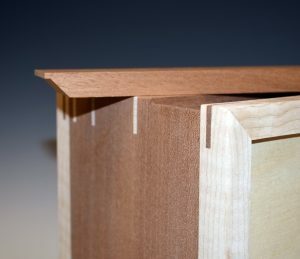 For years I had a full miter on box drawer fronts. 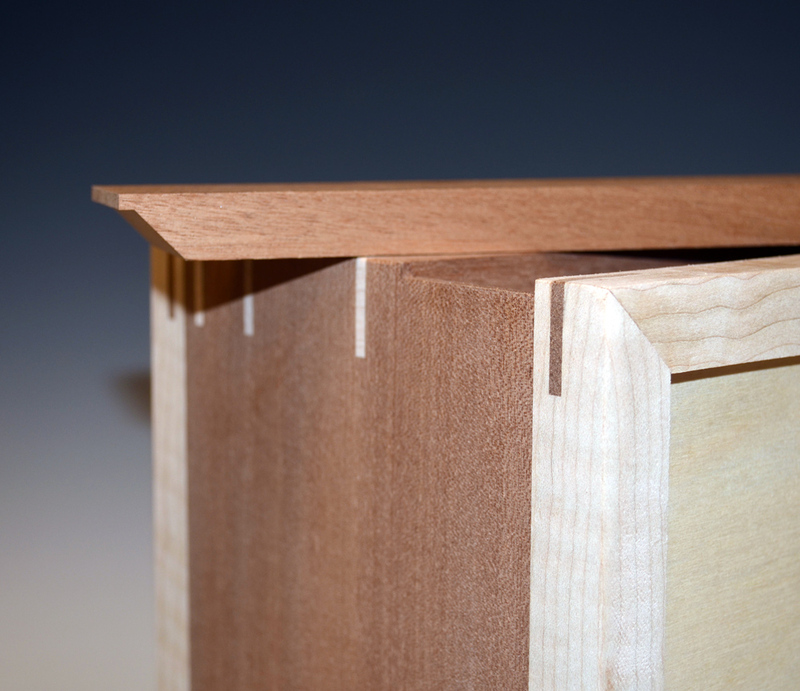 The objective was to have a relatively seamless transition from front to box side. 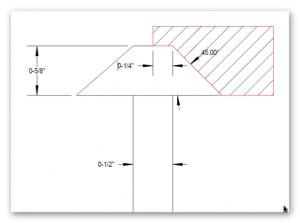 The downside, was that it was so easy to damage that sharp edge, and if damaged, next to impossible to repair. 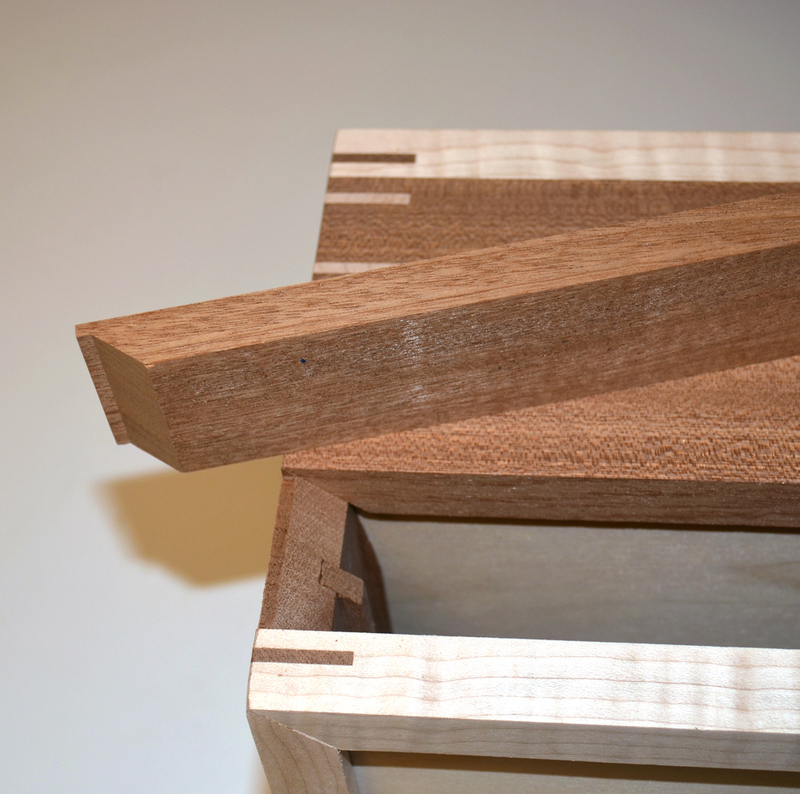 So now I have modified the fit between drawer and side, but putting an approximately 1/8″ x 1/8″ flat on the drawer ends. I first create the flat on the box side, using a mortising bit. Need to sneak up on it as any incursion on the box body above or below the drawer will show in the finished piece. 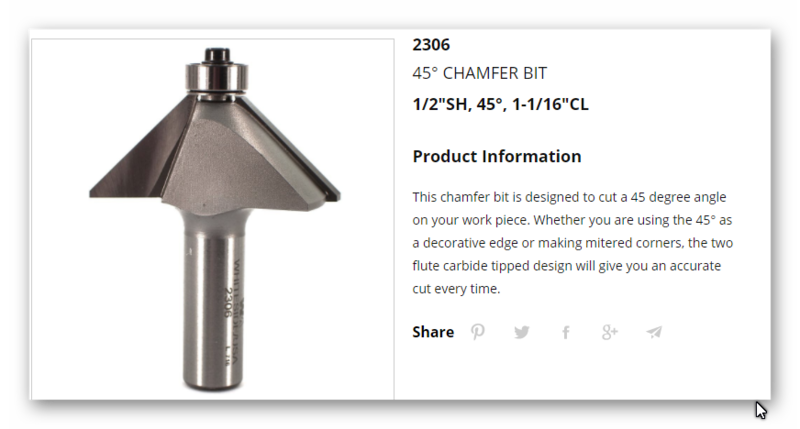 I tend to clean out the last 1/32″ or so with a chisel. 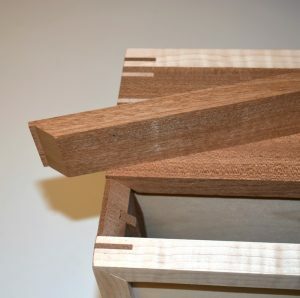 The drawer profile is done with a modified Whiteside chamfer bit that has the bearing removed. (I had this modification done by Whiteside). 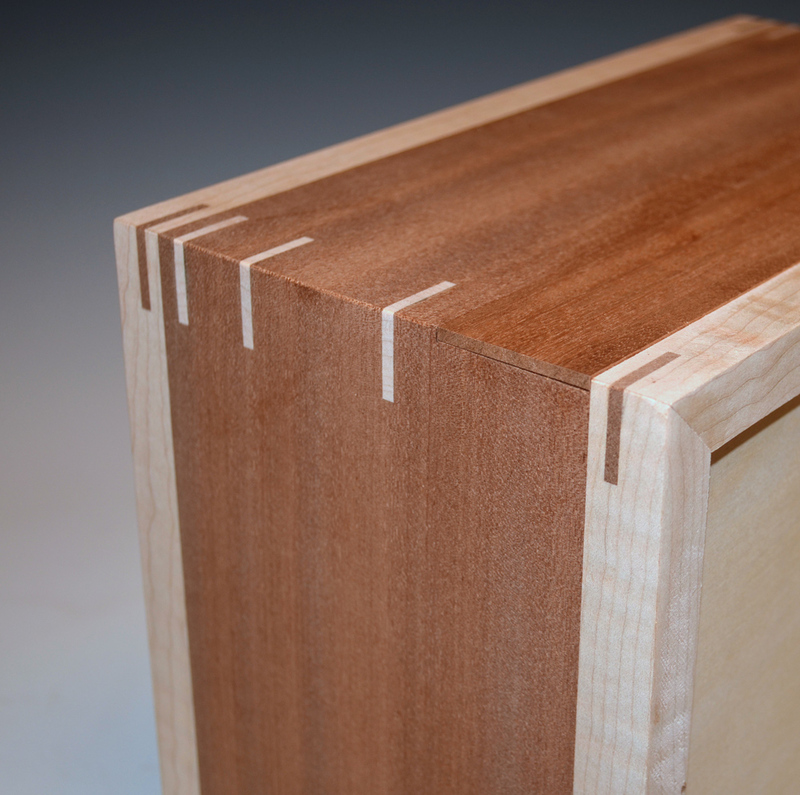 I sneak up on the final depth of cut to ensure a good fit. 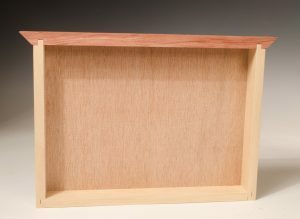 The finished edge is not very noticeable and the drawer is no longer subject to edge damage.